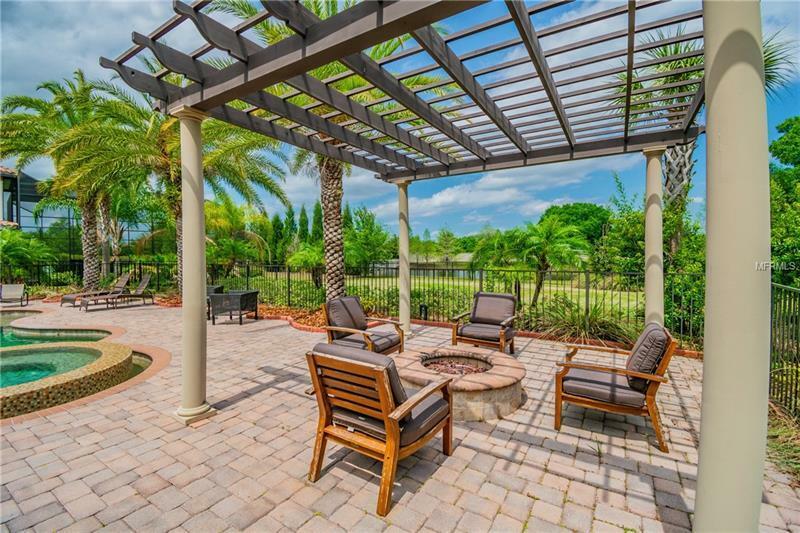 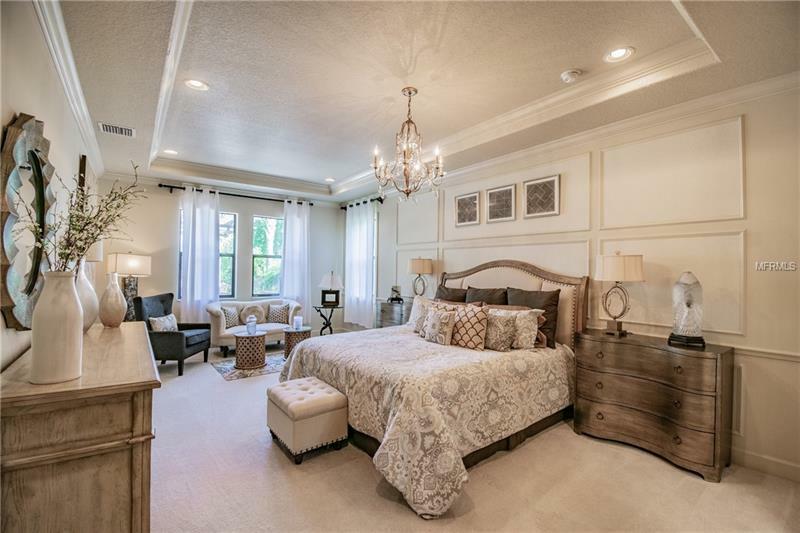 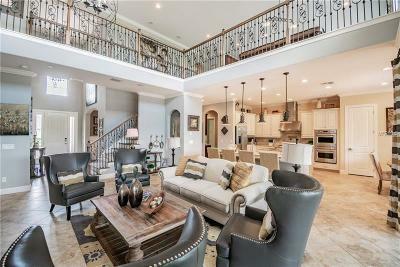 Mediterranean Estate in Old Memorial, the PREMIER LUXURY HOME community in the Westchase area. 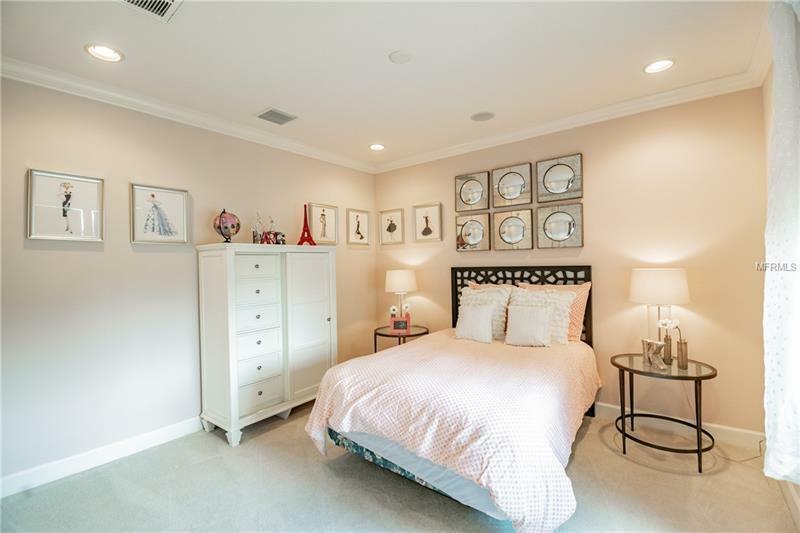 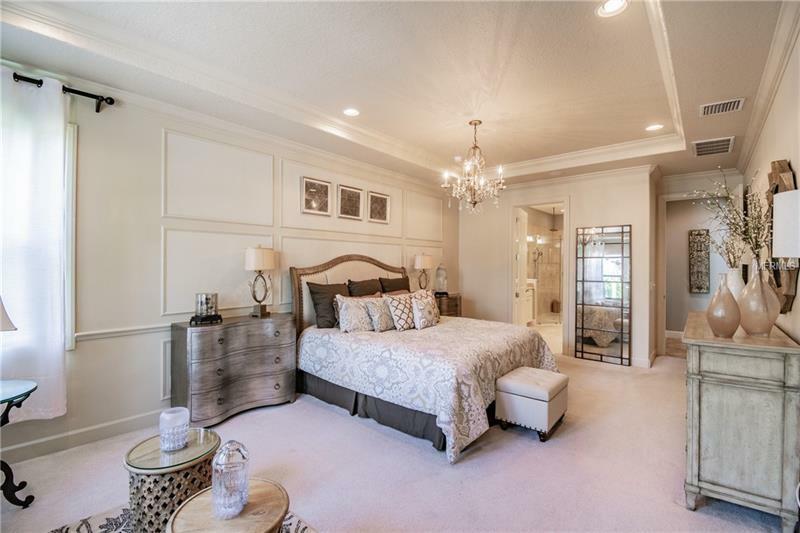 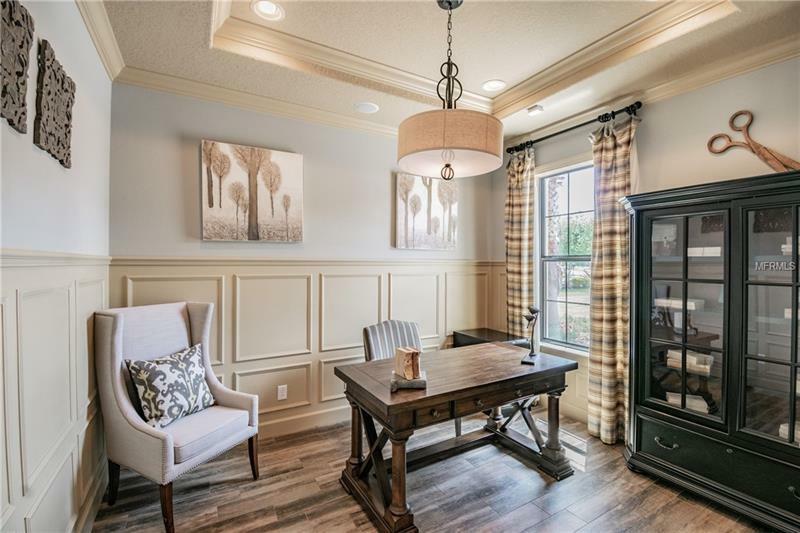 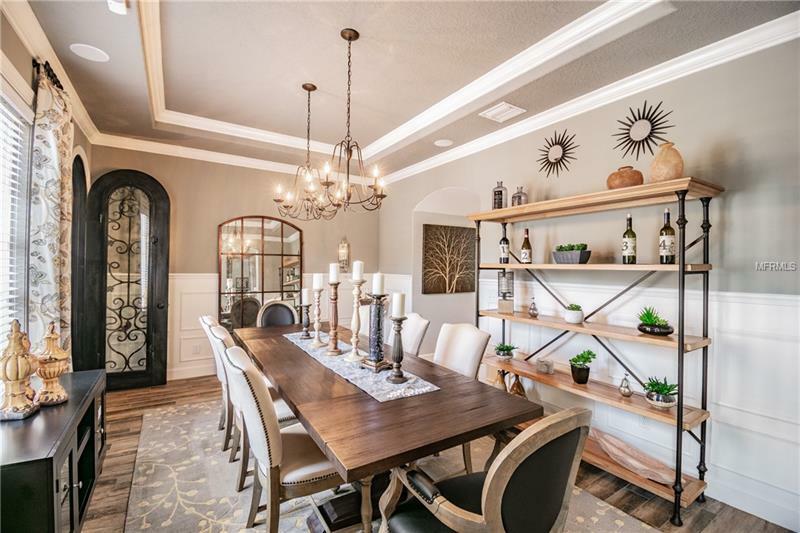 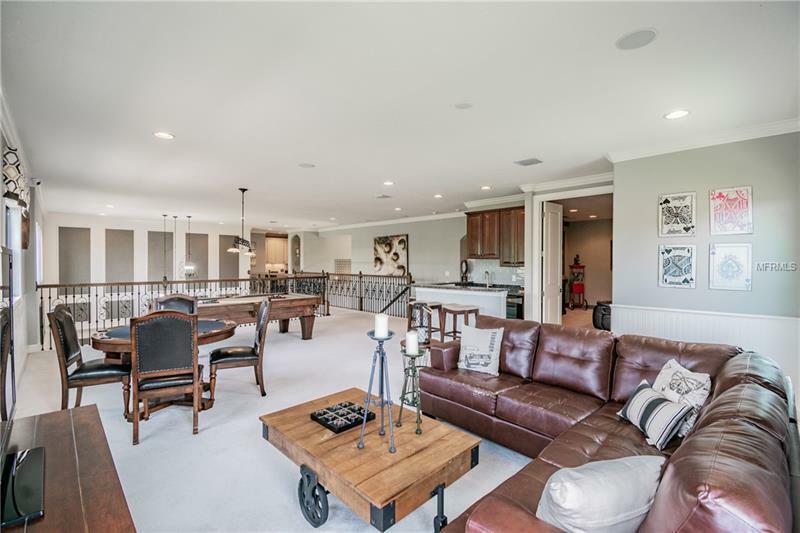 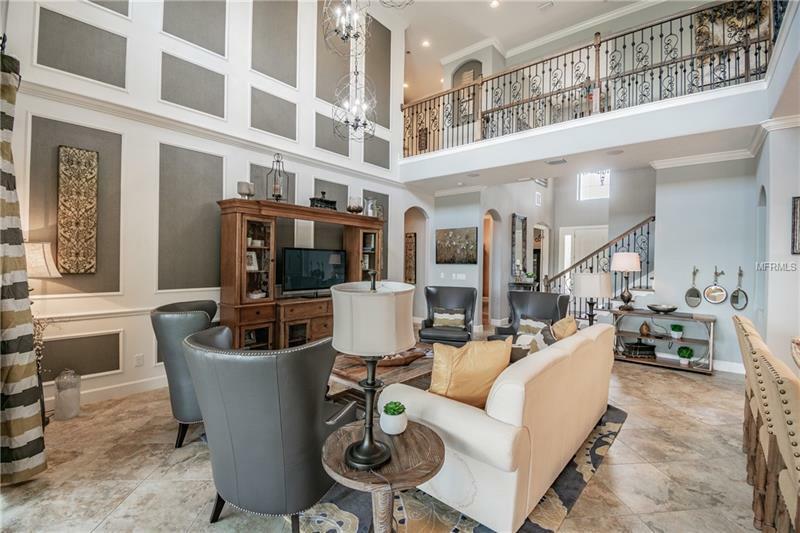 Formerly the Taylor Morrison model, this exceptionally appointed home offers $400K in custom upgrades sure to impress the most discerning buyers, truly luxurious living at its finest! 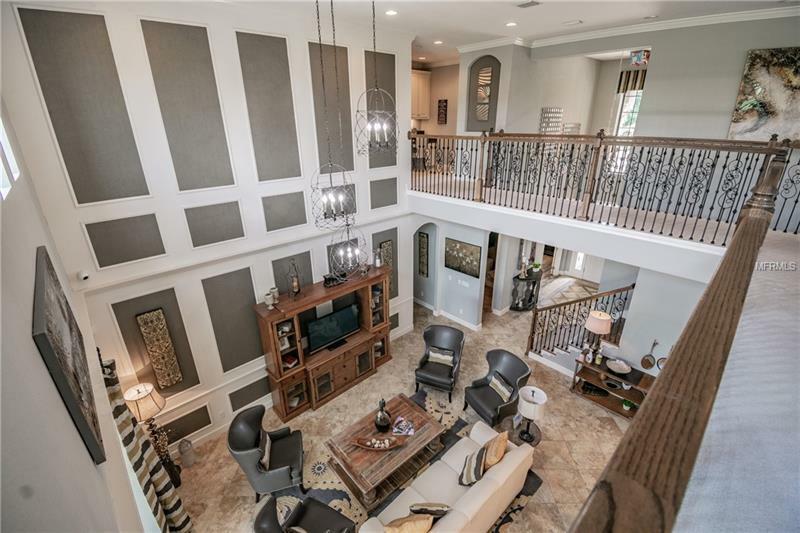 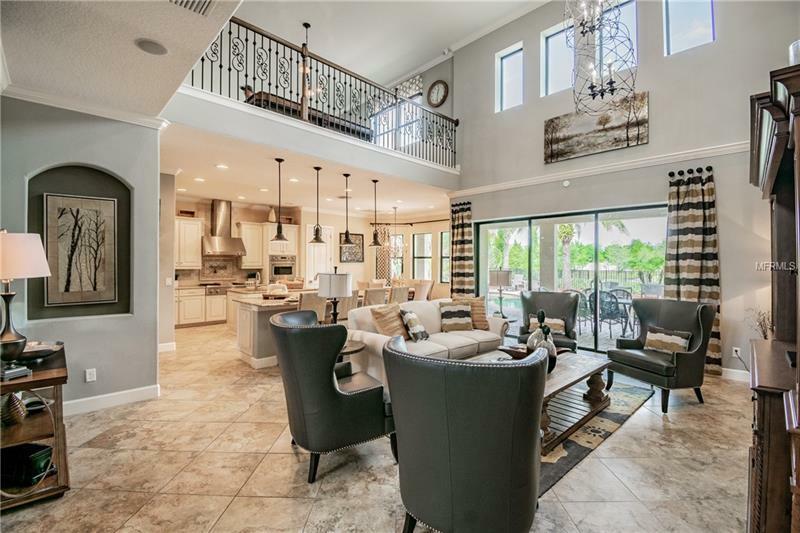 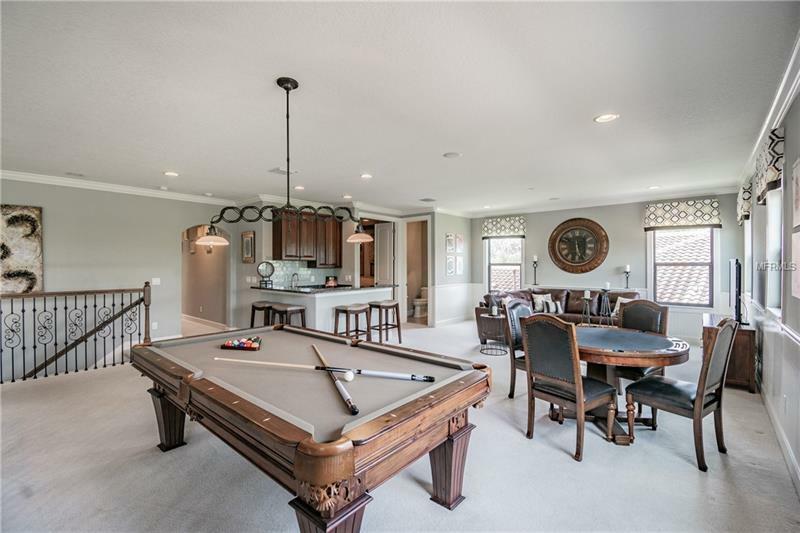 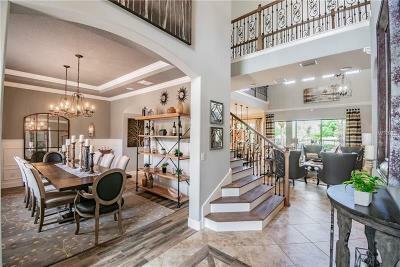 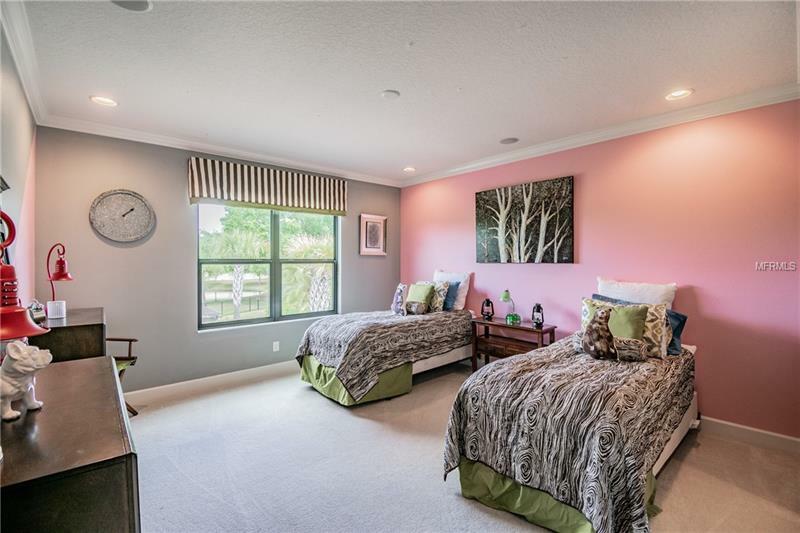 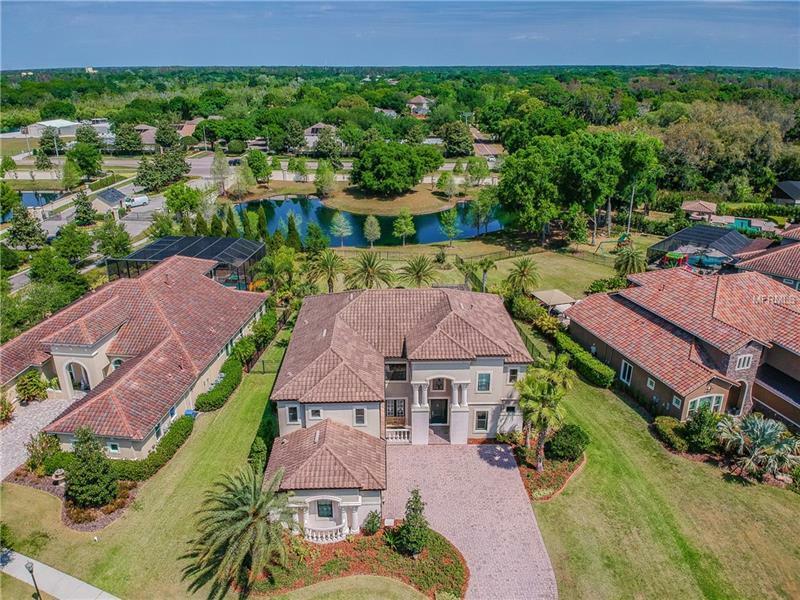 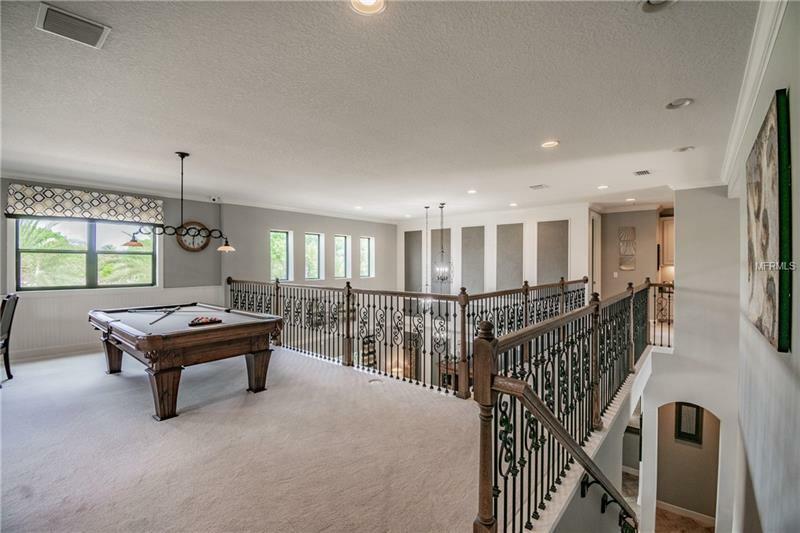 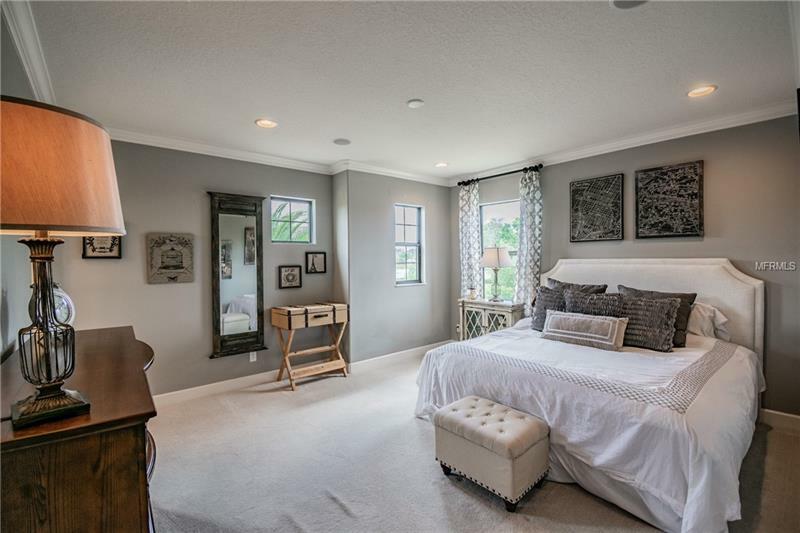 Over 5000 SF featuring 6BRâs, 4 Full BAâs, 2 Half BAâs, Den, GAME ROOM, THEATER ROOM, HEATED POOL/SPA, TILE ROOF & 3 CG w/climate controlled storage room. 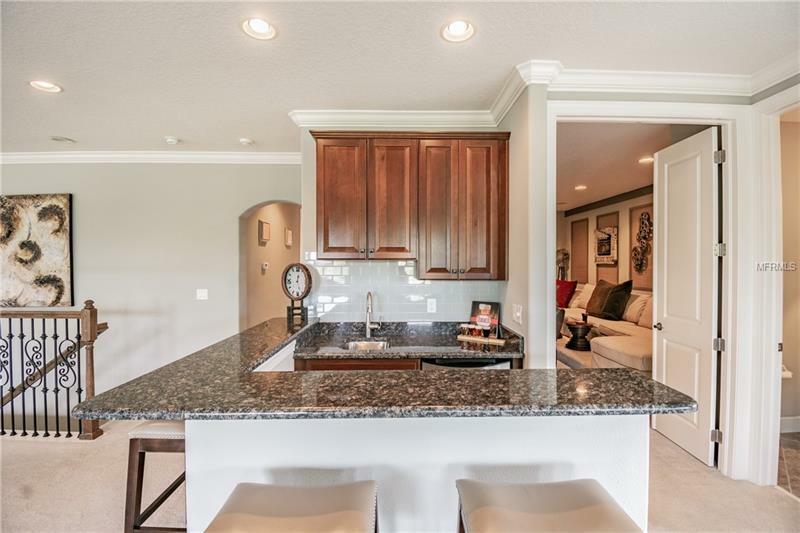 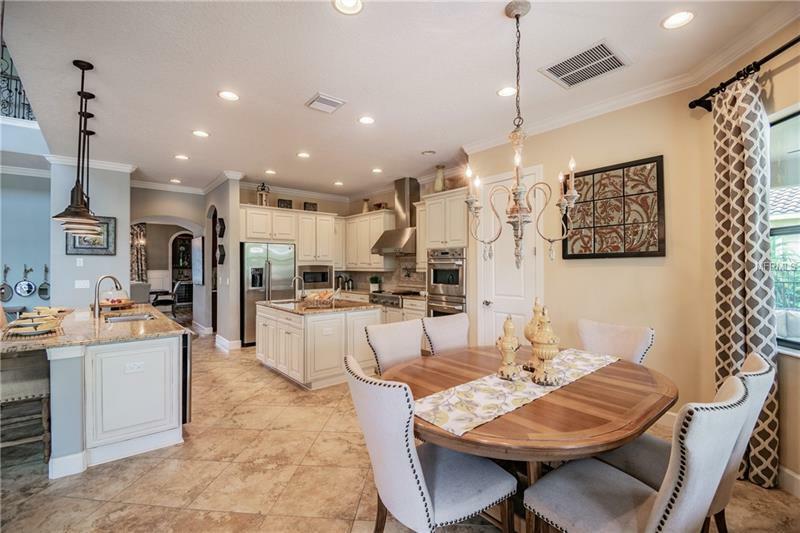 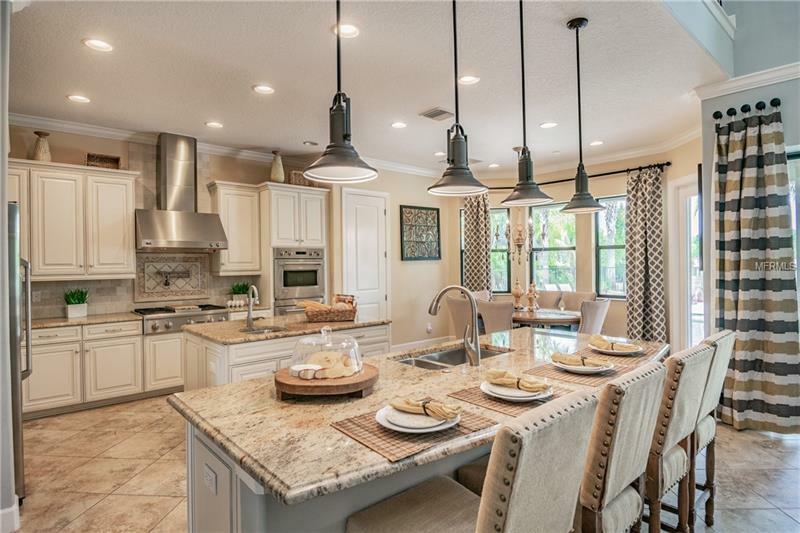 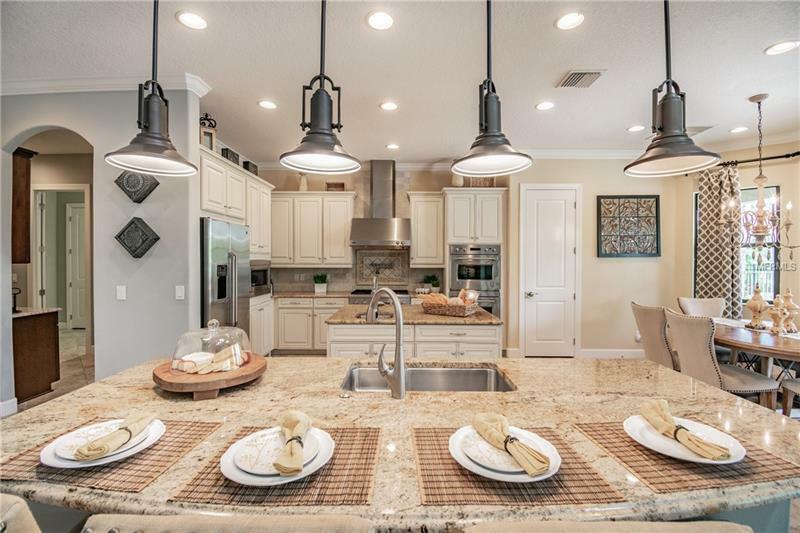 The CHEFS KITCHEN is ONE OF A KIND featuring Solid Wood Cabinets, GAS COOKTOP, DOUBLE OVENS, DOUBLE ISLANDS, Butlers Pantry w/built ins & so much more. The Dining Room features dual chandeliers & CUSTOM WINE closet that is a wine lovers dream come true! 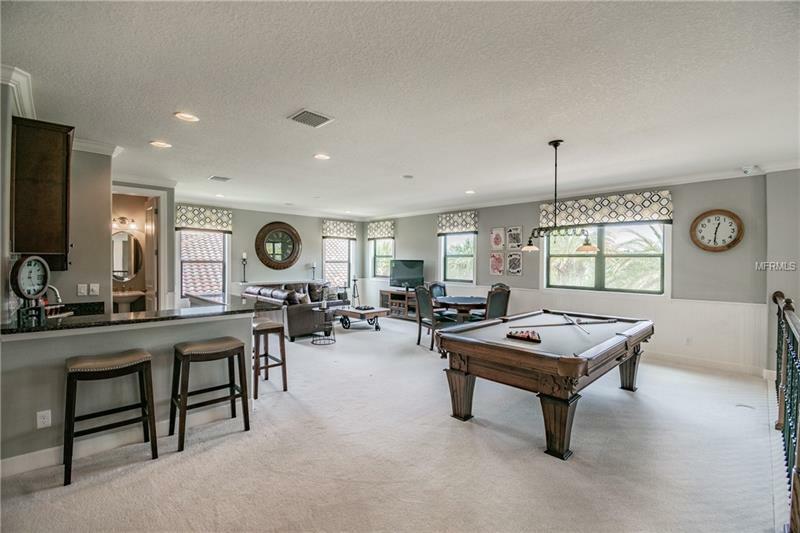 The family room w/double vaulted ceilings boasts custom lighting, porcelain tile & extensive custom trim. 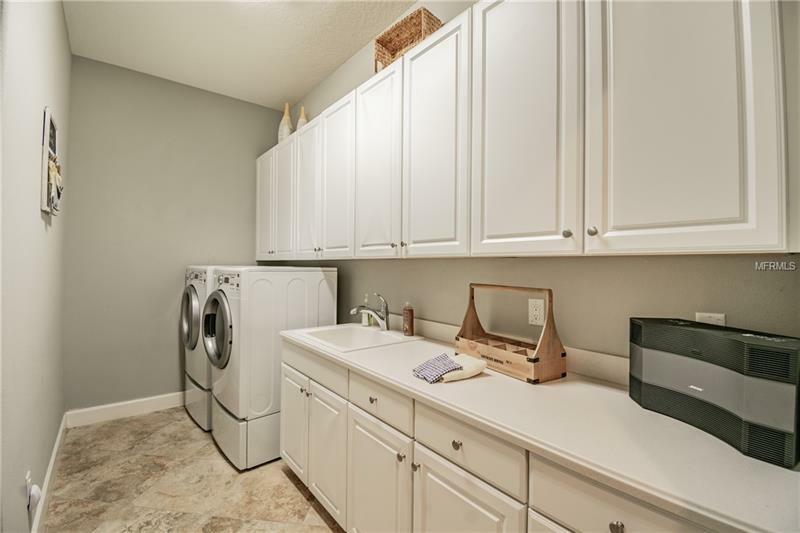 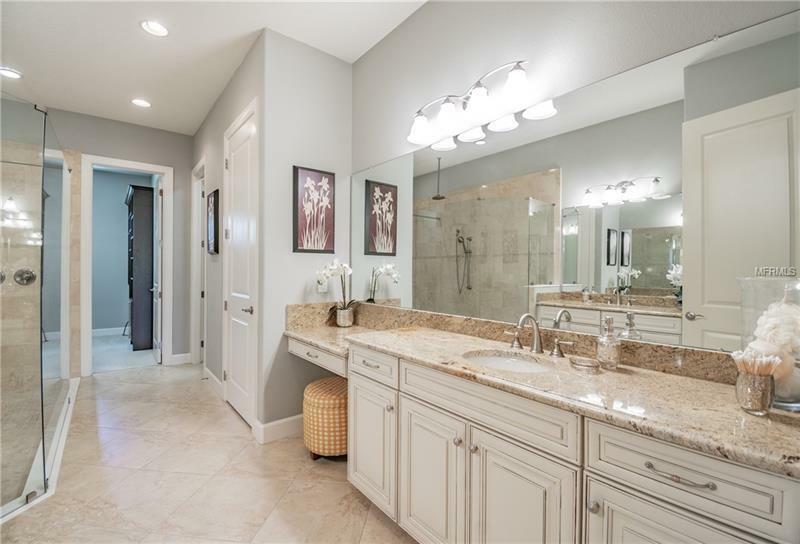 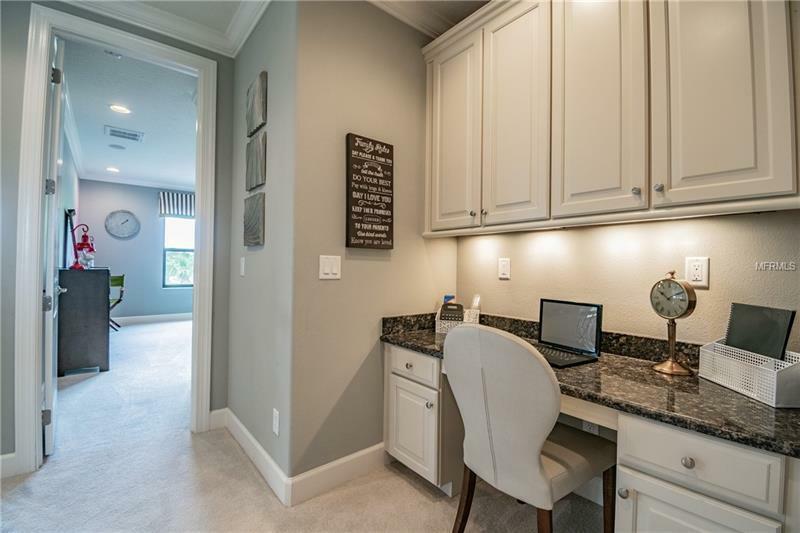 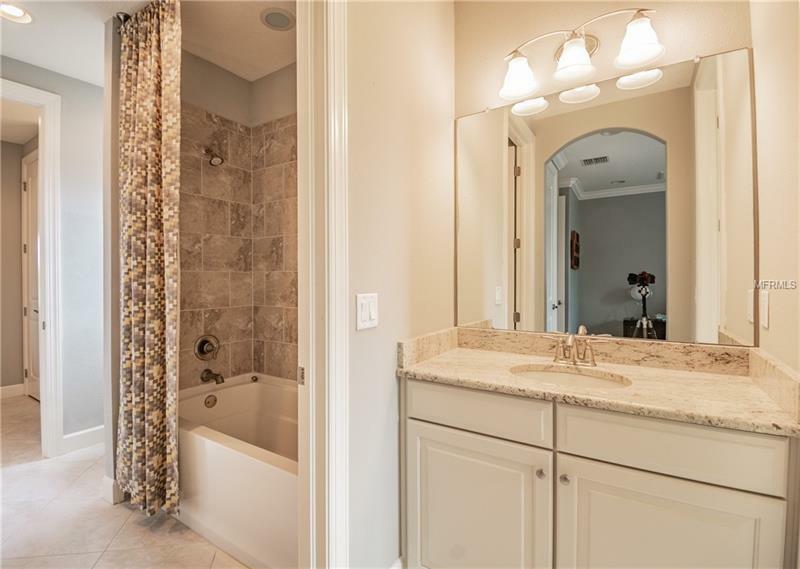 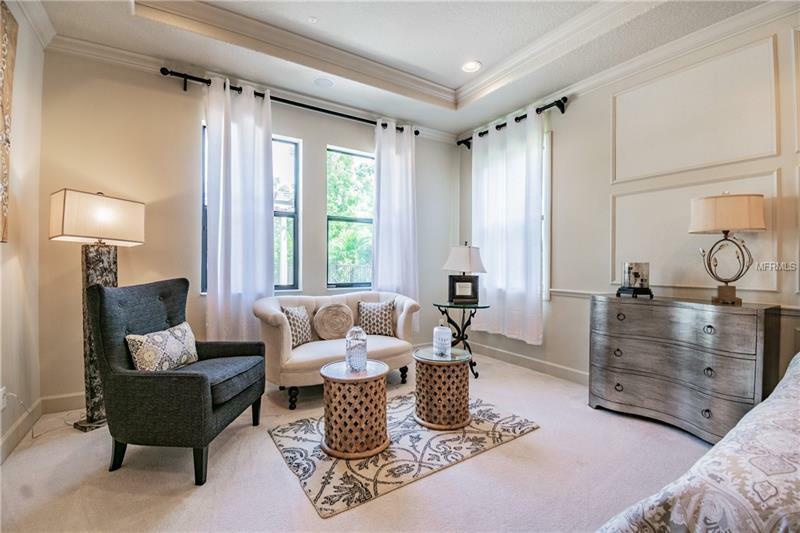 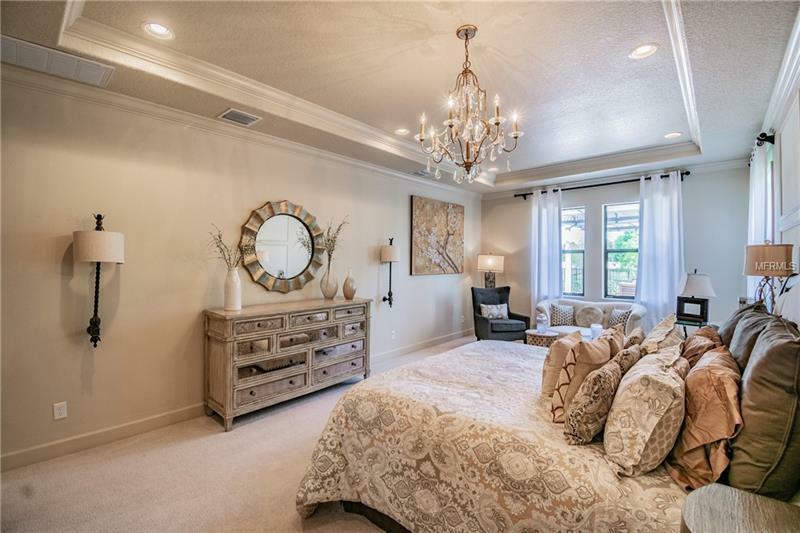 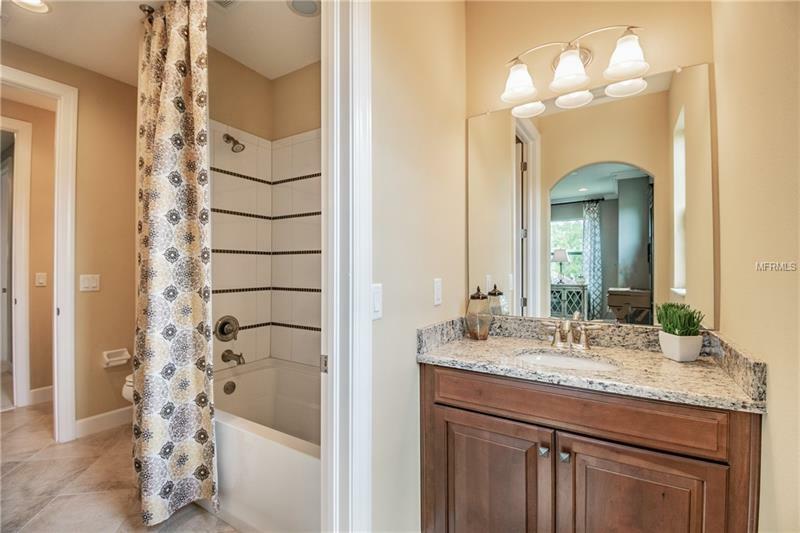 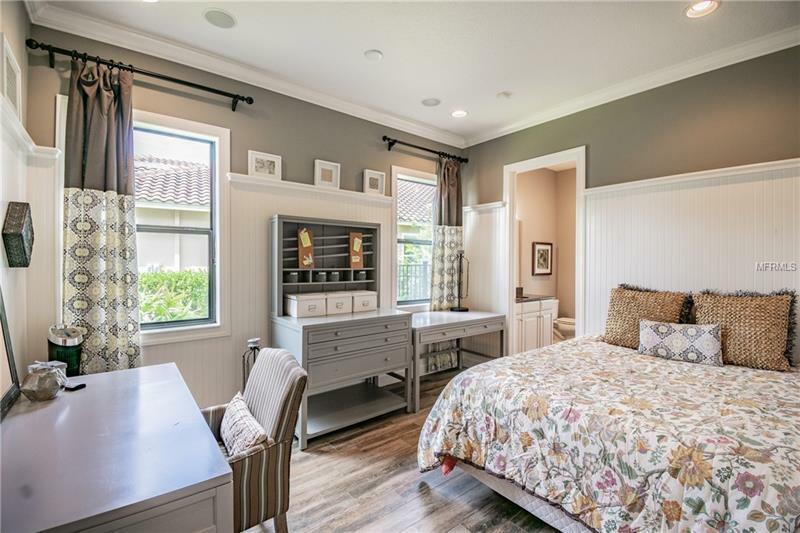 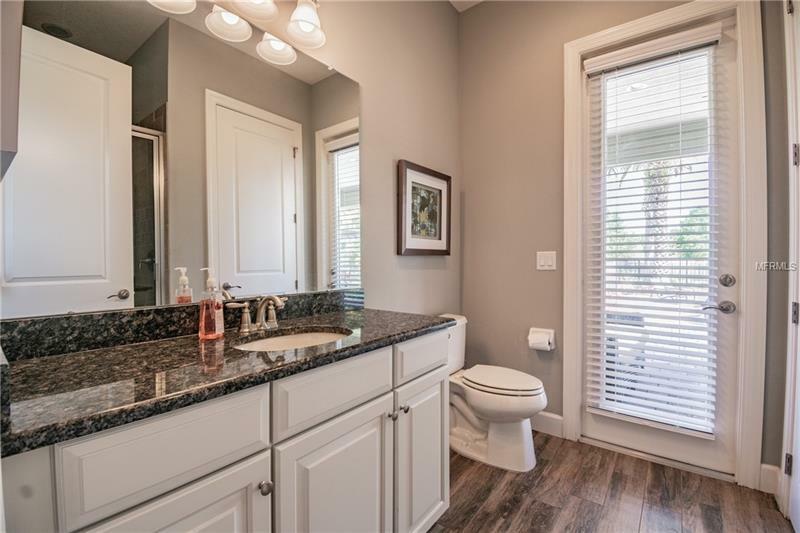 FIRST FLOOR MASTER RETREAT is spacious and includes a sitting area, master bath w/GRANITE dual vanities, oversized walk-in shower & large his & her closets with CUSTOM CLOSETS. 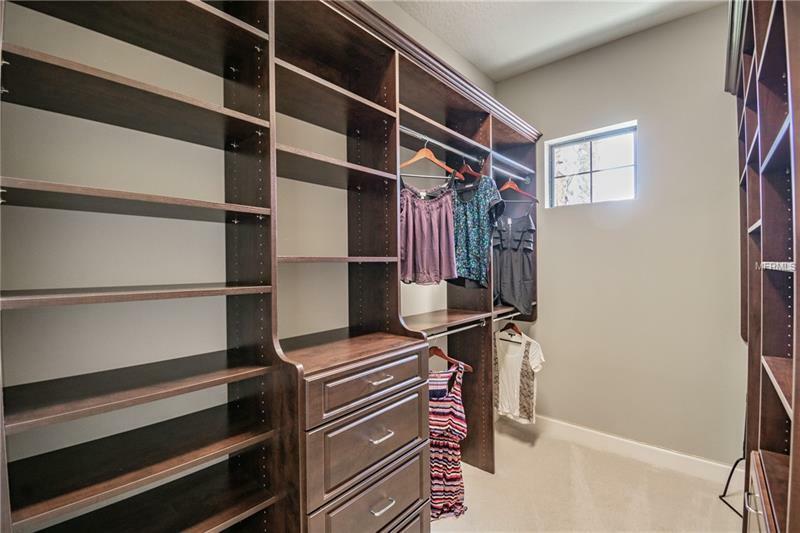 Another bedroom with ensuite bathroom is located on the first floor and huge laundry room w/added storage. 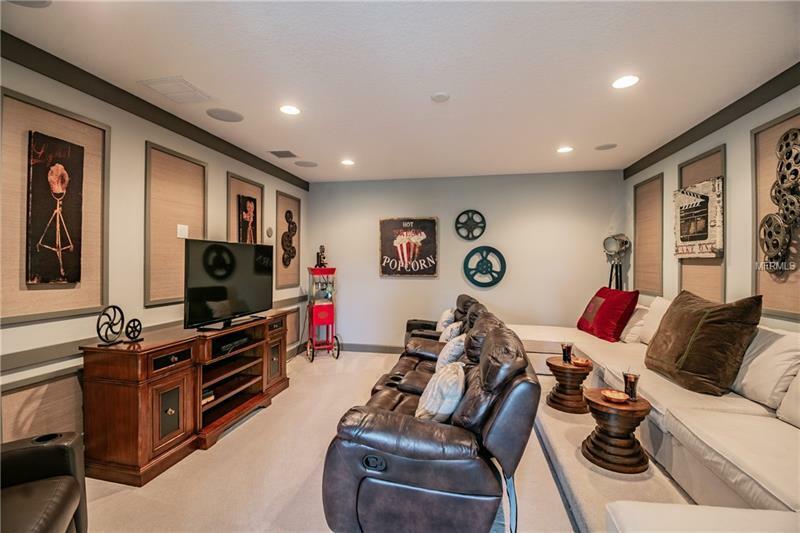 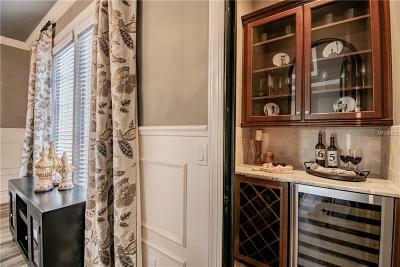 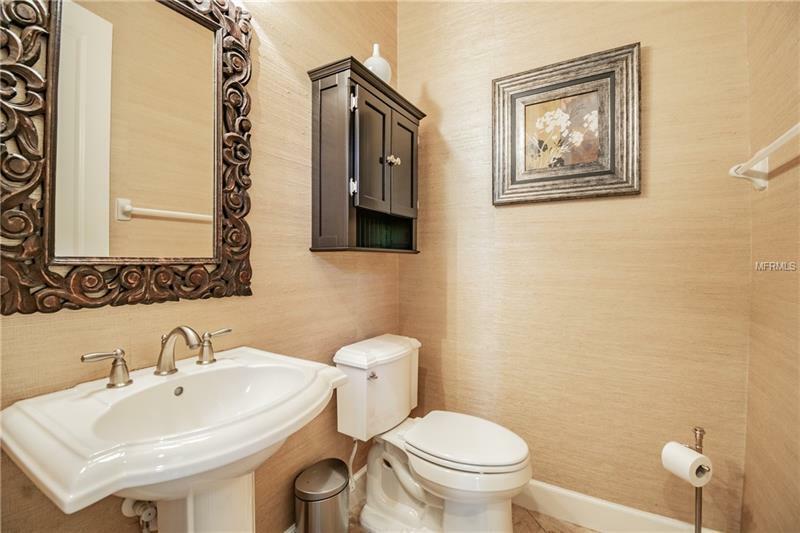 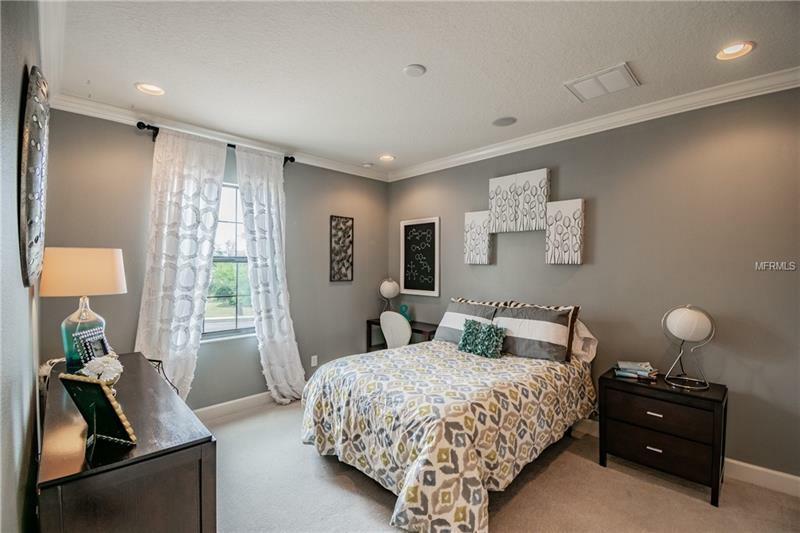 Upstairs features the GAME ROOM w/WET BAR, THEATER ROOM, 4 generously sized BRâs & 2.5 baths. 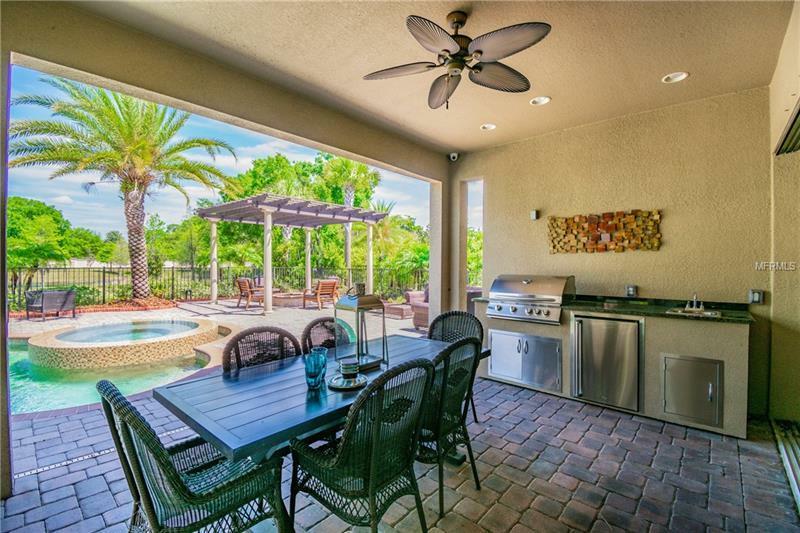 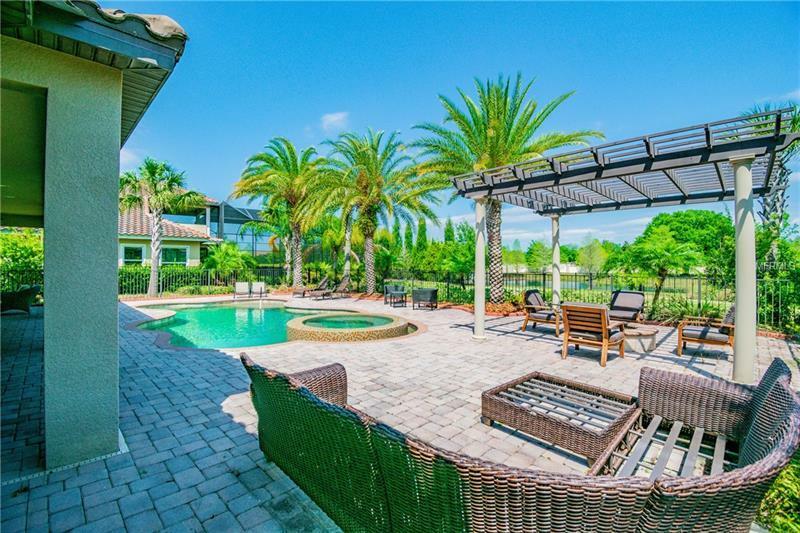 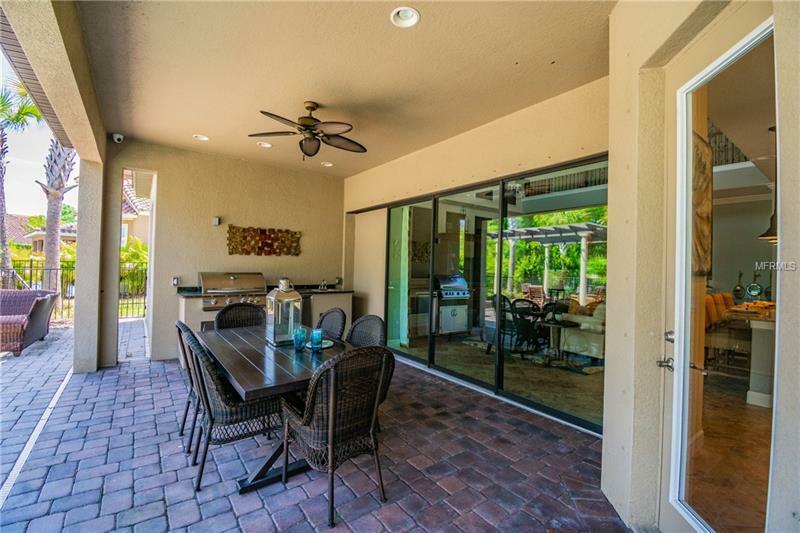 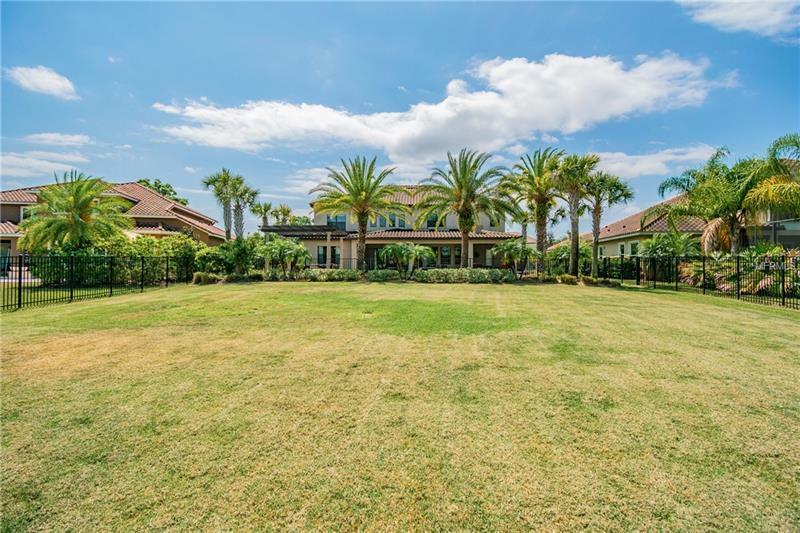 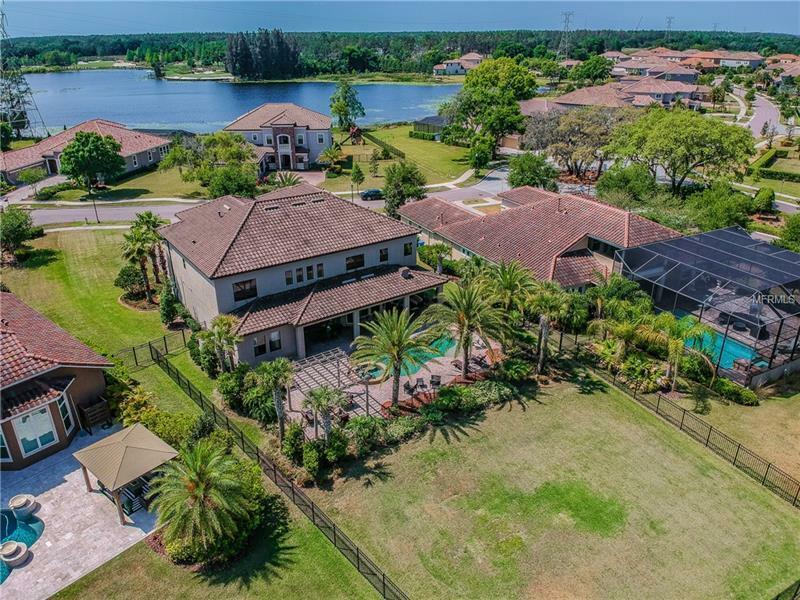 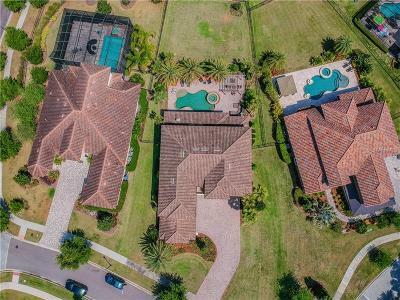 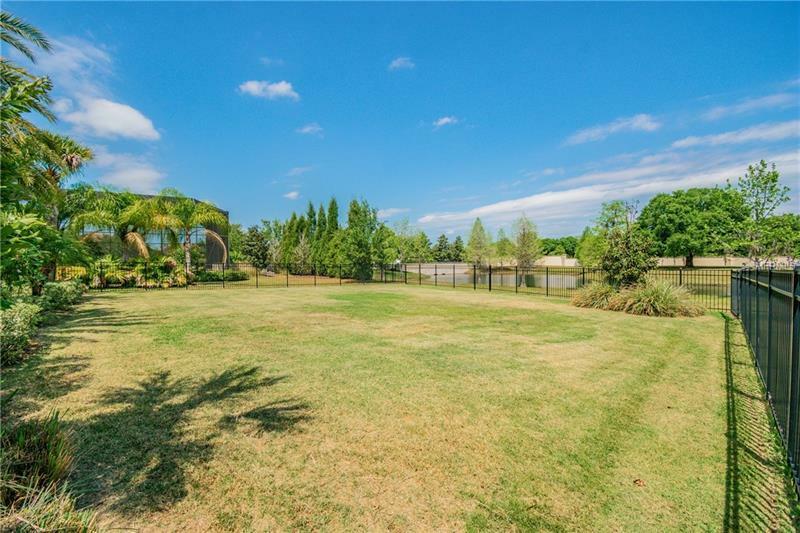 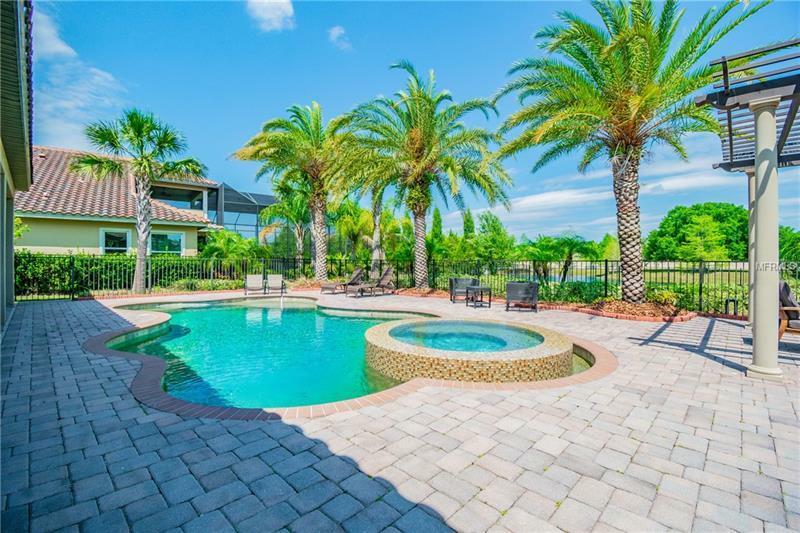 Entertaining family & friends will be a pleasure on your extended lanai w/pavers, heated pool/spa, Outdoor Kitchen, Custom Pergola w/firepit & huge yard with pristine & private nature views. Outstanding schools, excellent location & easy access to everything the Tampa Bay Area has to offer. Please request a full list of upgradesâ¦youâll be impressed!